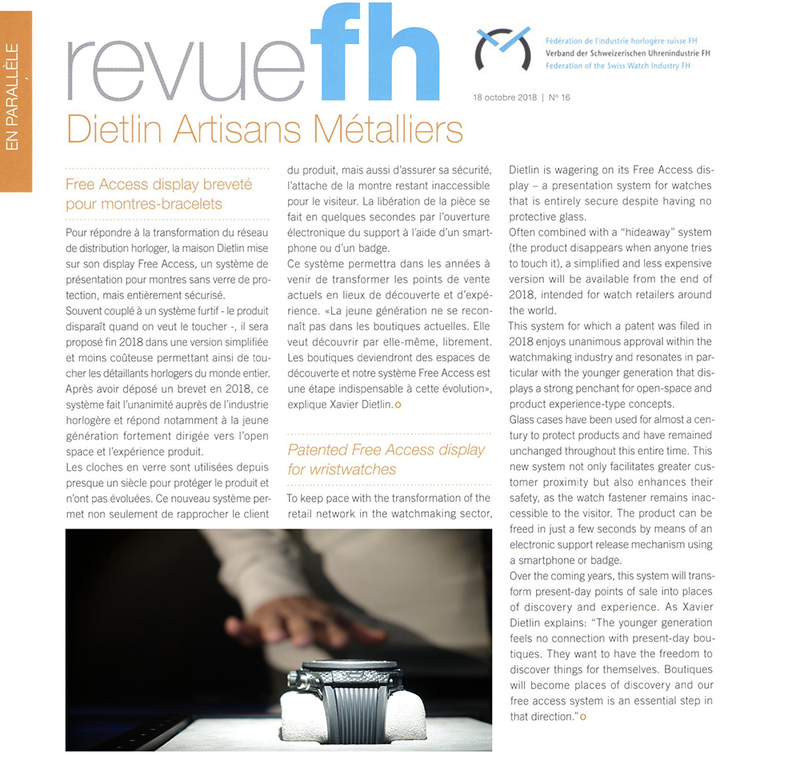 Dietlin Swiss Showcases - Revue - Federation of the Swiss Watch Industry: Patented Free Access display for wristwatches. Revue - Federation of the Swiss Watch Industry: Patented Free Access display for wristwatches. 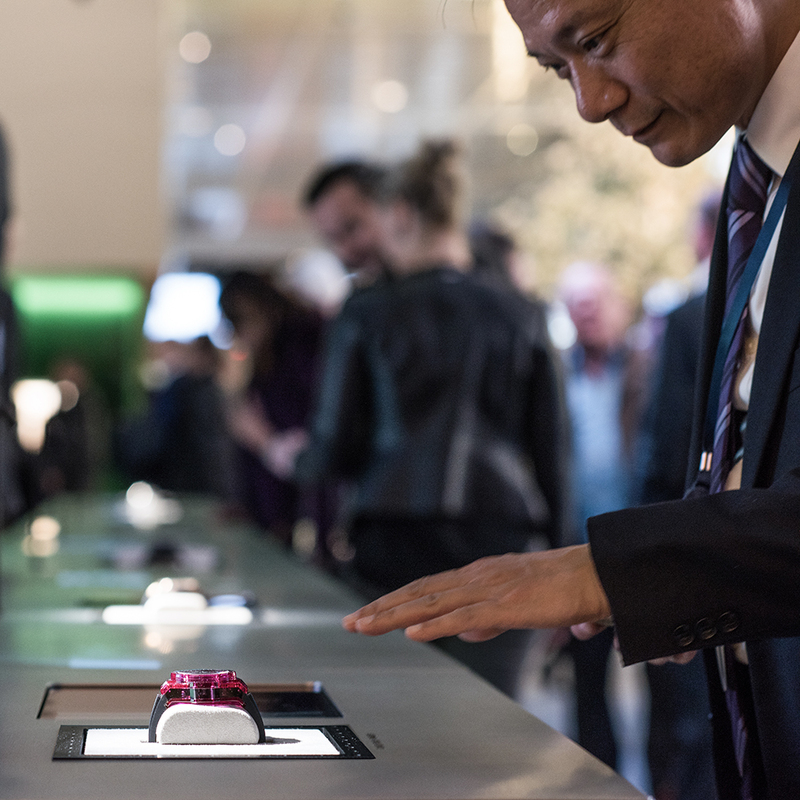 To keep pace with the transformation of the retail network in the watchmaking sector, Dietlin is wagering on its Free Access display - a presentation system for watches that is entirely secure despite having no protective glass. Often combined with a “hideaway” system (the product disappears when anyone tries to touch it), a simplified and less expensive version will be available from the end of 2018, intended for watch retailers around the world. 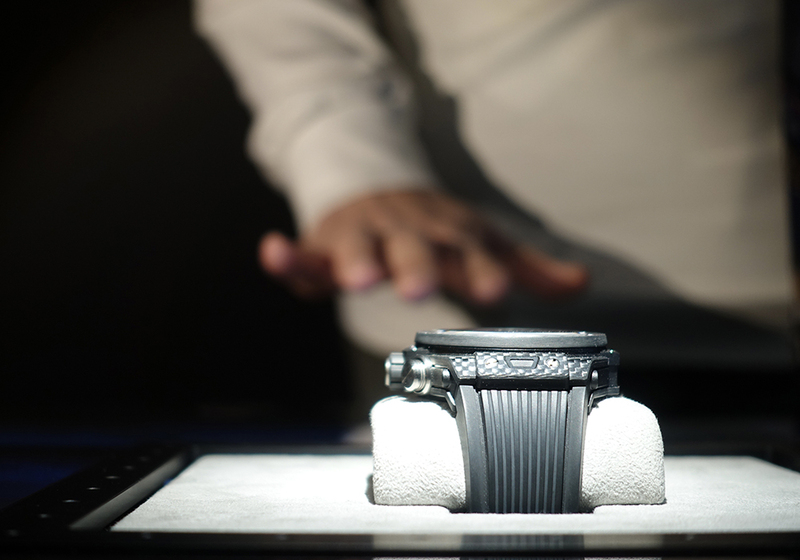 This system for which a patent was filed in 2018 enjoys unanimous approval within the watchmaking industry and resonates in particular with the younger generation that displays a strong penchant for open-space and product experience-type concepts. Glass cases have been used for almost a century to protect products and have remained unchanged throughout this entire time. This new system not only facilitates greater customer proximity but also enhances their safety, as the watch fastener remains inaccessible to the visitor. The product can be freed in just a few seconds by means of an electronic support release mechanism using a smartphone or badge. Over the coming years, this system will transform present-day points of sale into places of discovery and experience.